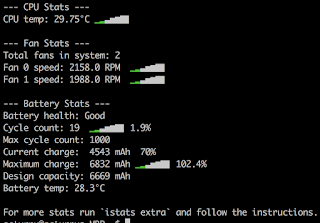 Besides the CPU temperature, it shows fan and battery stats. It shows the usage of power by CPUs, along with frequency and temperature, tracking the history of the values and displaying the charts for them. 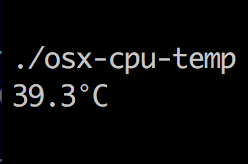 osx-cpu-temp - open source written in C, therefor you need to install a C compiler in your MacOS. The codebase is tiny, ideal if you look at embedding such feature in your application. The application itself can be run from the directory, no need to install unless you want to make it available across the OS. 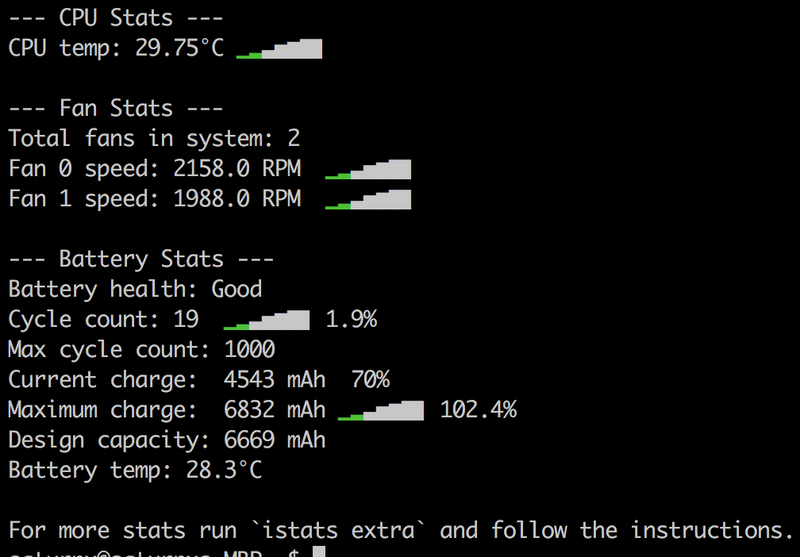 It has minimal output, the temperature, which can be displayed in Celsius or Fahrenheit, a matter of command line options -C or -F.
Hopefully this post will save some time for people looking for similar tools! Wishing A Safe And Happy 2017!